Home / Blog / Interviewing Two Professors In One Week! Interviewing Two Professors In One Week! I’m just paddling back into the creative writing waters, the muscles are atrophied but I trust they’ll come back with a few reps. Back in the day when I was a sportswriter at the Daily Bruin, I was writing all the time (here’s something I wrote in 1998 about fellow Bruin and future Explore The Space show guest Eric Byrnes. Then came med school, then residency, then life, and not so much with the writing. I did stage a brief comeback with a fun little blog called The Tipsy Historian, but the last post there is nearly 10 years old. When I was a sophomore at UCLA, I read a book called “Letters To A Young Doctor” by Richard Selzer. He was a Professor of Surgery at Yale University, and his writing flare along with his descriptions of surgery launched an abiding fascination and admiration of those who dare to operate on another human being. That role of Professor, I would come to learn over the course of my collegiate education and medical training, is one that is highly coveted and inherently difficult to achieve. Juxtapose that with going to medical school at Baylor College of Medicine, an institution built on a foundation of surgical prowess, and I developed a unique admiration for those who become Professors of Surgery. This is not to diminish the respect I have for any who reaches the level of Professor in any field, and I had the privilege of training under some of the greatest Professors of Medicine on the planet. So you can imagine my delight when, in the span of one week, I had the opportunity to interview not one, but 2 Professors of Surgery for episodes of Explore The Space. With each one, even reaching out in the first place was a bit scary. I’m not one to get star-struck, but again, there’s just something about a Professor of Surgery. 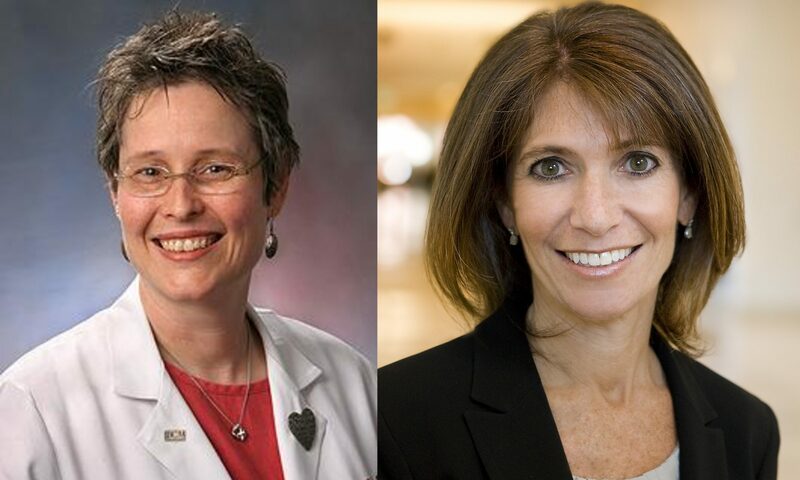 Dr. Nina Shapiro, Professor of Head and Neck Surgery at UCLA and Dr. Mary Brandt, Professor of Surgery, Pediatrics, and Medical Ethics at Baylor College of Medicine have both reached the pinnacle of a surgical career. They both took the time to speak with me on Explore The Space about their work, their opinions, and their impact. The could not have been more engaging, more friendly, more available. That they work at my collegiate and medical school alma maters is icing on the cake. I love being a Hospitalist, I love Internal Medicine, but my admiration for surgeons and Professors of Surgery has never been greater. Previous PostPrevious Our New Home! Next PostNext Connecting Medicine, Learning, Twitter &…Spinal Tap? Connecting Medicine, Learning, Twitter &…Spinal Tap? Examining the interface between healthcare & society, with thought leaders from across the spectrum. Explore The Space seeks to make the world of healthcare less complex, more accessible and more human.